Inventory We are a resale marketplace, not a box office or venue. Ticket prices may exceed face value. This site is not owned by Northern Alberta Jubilee Auditorium . Northern Alberta Jubilee Auditorium opened in 1955 to be the premier traveling Broadway venue in the greater Edmonton, Alberta area. The theater has a seating capacity of 2,538 and was opened in 1955. Northern Jubilee Auditorium tickets have included smash hit shows like Wicked, Jersey Boys, Lion King, West Side Story, and Les Miserables. The theater has been the most attended venue of its kind in Canada on multiple different years. 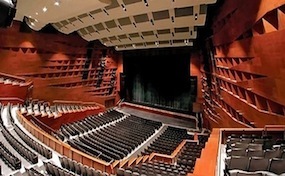 The most recent renovations occurred in 2005 as part of a $91 million upgrade..
AuditoriumEdmonton.com is not currently associated with any primary website, official venue, supplier, or box office. We are a privately owned and operated company that concentrates all our efforts in the online retail of all events in the resale secondary market. Prices for tickets on our sites are often above face value and can change quickly with demand. To order tickets to all Northern Alberta Jubilee Auditorium Edmonton events please follow the steps online through the checkout or pick up your phone and call our operators at anytime.